Membership of the French Porcelain Society is open to all. Our members include museum curators, collectors, dealers, auctioneers, students of the decorative arts and porcelain enthusiasts the world over with a thriving membership not only in Britain and Europe but also in the USA, Australia and Japan. As a member you will receive the Society’s biannual journal, news of upcoming events and reports of the Society’s activities. One of the main benefits of membership is our regular visits and privileged access to specialist porcelain collections in both museums and private homes, some not open to the public. We also hold regular study trips abroad. 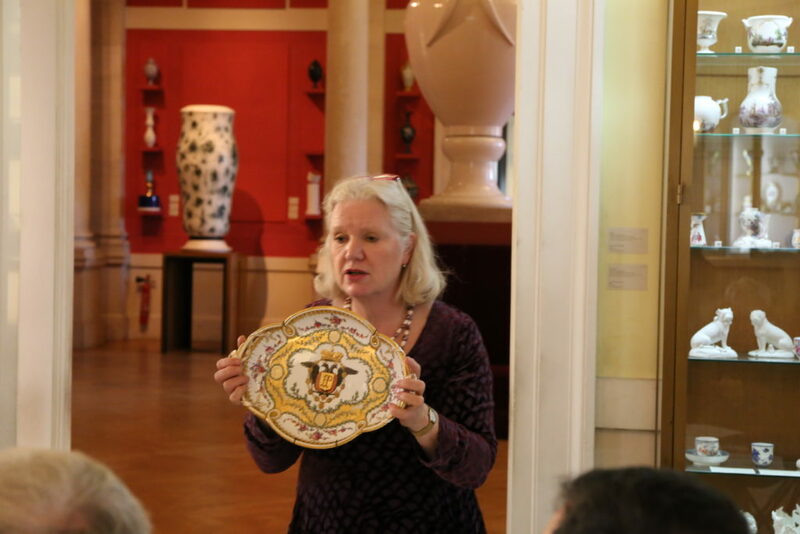 Here we can handle, examine and discuss wonderful examples of French porcelain with other enthusiasts and distinguished scholars who are experts in the field. The Society holds an annual lecture named in honour of our past President, the scholar Sir Geoffrey de Bellaigue and biennial symposia on a variety of topics concerned with European porcelain. Whatever your level of knowledge and expertise, you will find us welcoming and inclusive. We would be delighted to welcome you to the French Porcelain Society. Become a member by clicking the button below and completing the form. You can start, renew and pay for your membership online here.